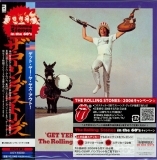 Japanese Paper Sleeve Mini Vinyl LP Replica CD - Rolling Stones (The) - UICY-93030 - Get Yer Ya-Ya's Out! Part of an extensive series of re-releases of 22 Stones albums. This version includes a collector card. See UICY-93013-38 - Rolling Stones (The) - In the 60's (2006 / 2006) for more information. 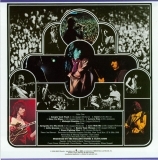 Obi:"The stones in the 60s - papersleeve collection" with specific details about this release.